Philly had to finish their game against the Bulls twice, and both times the same result saw them come up with the loss. Still boasting the #4 record in the East, they will, in fact, have their work cut out for them if they intend to climb in the standings even further. Houston is very tough to beat when they are at full strength, as they are right now. While Kenneth Faried is out, they have various guys who can come in and hit the three ball at a high clip. This is not a team you want to have to face. The #5 scoring team in the NBA hopes to make it rain buckets in this game. Tobias Harris has fitted in well, averaging 20 points and eight boards per game on 55% shooting since coming over. Jimmy Butler has not totally impressed while here, but he continues to get buckets and knock down the three ball. Mike Scott’s ability to come off the bench and quickly fire up the threes play a big role. He will be getting a lot of minutes at center, with Boban and Embiid out. The bench will need to play a key role. Jonah Bolden should also be able to play a few for them. Ben Simmons’ lack of a jump shot has not quite cost the Sixers any games yet, but we’re definitely getting close to that. He needs to learn how to knock them down, or in the long run, he’ll seriously be hurting the team more than helping at times down the stretch. When clutch plays go through him, nobody ever expects a shot. When you talk about the Rockets, it always begins with the bearded one. James Harden is looking to win another MVP award this year, as he’s been stuffing the stat sheet night in, and night out. He’s posting close to 37 points per game, which is the most anybody has scored in a game since Kobe’s 35 per game effort during the 05-06 season. 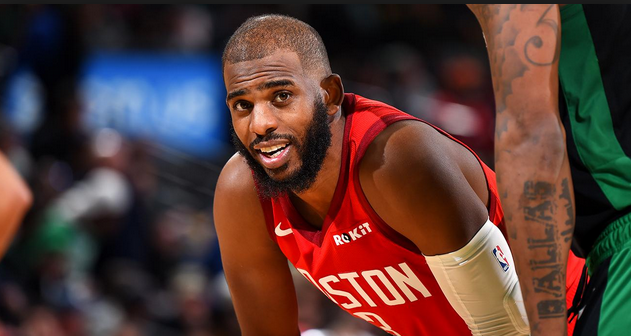 Chris Paul has become his right-hand man of sorts, as he has finally worked hard enough to rid himself of the injuries that will not leave his body alone. They will be without Kenneth Faried once again, forcing Nene into action, though probably only for a few minutes. When Clint Capela is out, they will likely have either Gary Clark or PJ Tucker in there to cover whoever the floor-spacing five of Philly will be. They hope to get their 40th win and look to move in on shoring up home-court for the first round. Be sure to bet HOU -7! The Rockets come into this game with great confidence, and that is all they will need. Harden will go for 45 tonight, with CP3 adding 20 points and 10 assists. These two will do more than enough to rally the troops to a win of at least eight points.